We came across this destination in Food Arts, a restaurant professionals magazine. It made us want to hit the road. Marshall, California—How can you not fall in love with a hotel that greets you with a tray of local barbecued oysters the minute the valet whisks your car away? 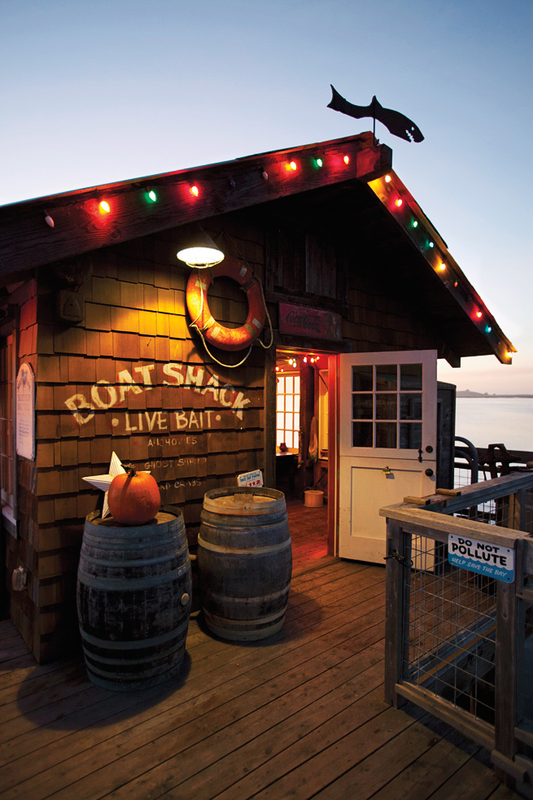 That’s the welcoming amenity at Nick’s Cove Oyster Bar & Cottages, overlooking Tomales Bay in Marin County. Tomales Bay is at the heart of the California coastal waters rich with oyster beds with Hog Island Oyster Farm, also in the historic village of Marshall, being the most well known. So no wonder that oysters are the leading men at Nick’s. There’s a raw bar with half a dozen different rotating locally harvested specimens, and in addition to the barbecued oysters, there are grilled oysters “Nick-erfeller” and baked oysters Mornay. Dungeness crab also plays a starring role in crab Louis, crab cakes, and an unctuous crab mac and cheese. Austin Perkins, who came onboard in 2008 fresh from Cyrus in Healdsburg and was promoted to executive chef in 2011, embraces the land, too, with inventive salads and hearty mains, such as a wood-fired pork chop with rainbow chard and rosemary polenta. On an inventive list, a standout cocktail is the Marshall Manhattan (see recipe below), made with Breaking and Entering Bourbon, and Anderson Valley Oatmeal Stout Syrup—often described as a beer lover’s drink. It could be tricky to negotiate the hairpin curves on Highway 1 if one explored much of the cocktail and/or wine list, but fortunately it’s possible to bed down right there in one of the 12 funky but luxuriously appointed waterfront cottages.